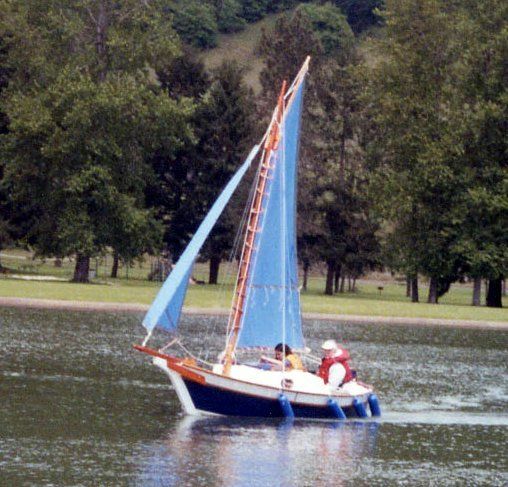 gaff-rigged with jib In several of the photos, homemade blue sails are shown. 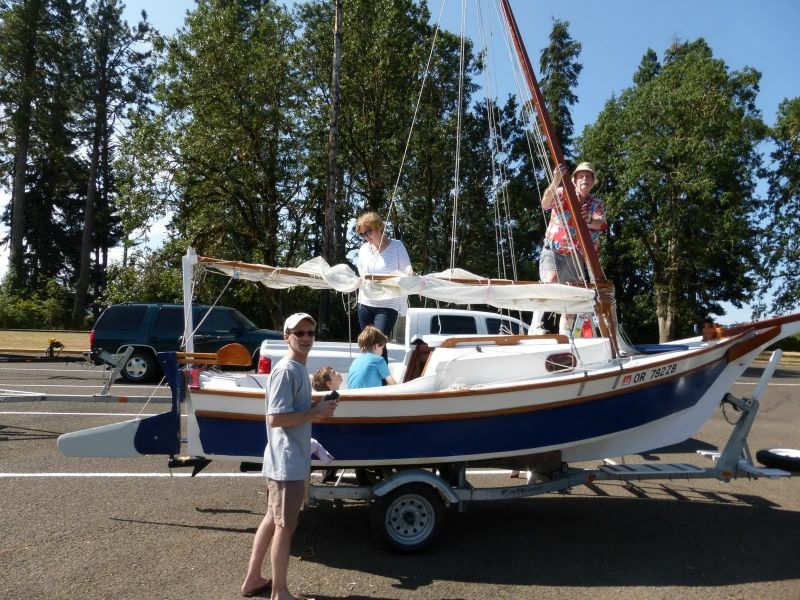 It now has purchased white sails. 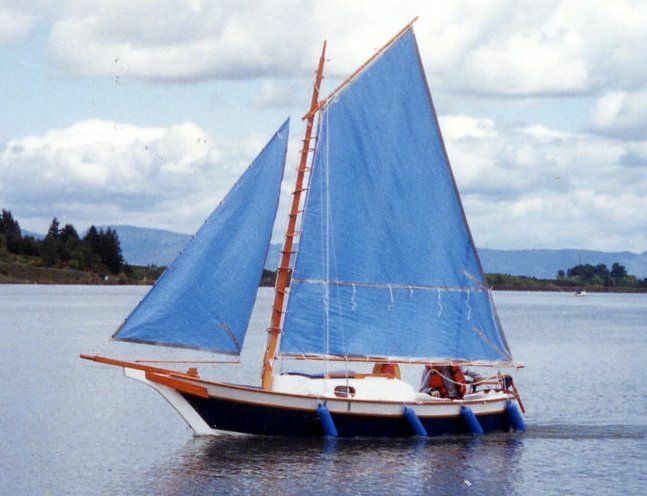 original owner and builder, always kept indoors or under cover, never left in water more than a daysail.